Following wide protests and public pressure, including by two civil rights organizations, Commonwealth Human Rights Initiative (CHRI) and Police Reforms Watch (PRW), a new internal security law in Maharashtra – Protection of Internal Security Bill 2016, seeking to give sweeping powers to executive and police over private spaces - has been withdrawn. Objections were raised to the draft Bill's provision, which makes it compulsory for all public spaces – whether publicly or privately owned – to have CCTV surveillance and security arrangements, which would be mandated by the police. The public spaces are proposed to be routinely audited for their security arrangements. “The detailed Standard Operating Procedures (SOPs) for the security audit will be framed by the MSSC (Maharashtra State Security Council) in consultation with the parties concerned. These SOPs will be revised periodically,” the Bill read. 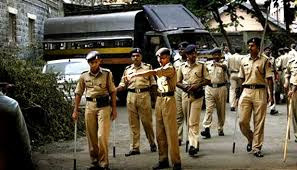 The Bill wasreleased into the public domain ahead of the next Assembly session, and the state government had claimed, it provided an “opportunity” for an exhaustive debate to discuss the necessity of any new law as well as the state of policing and security in Maharashtra. The Bill proposed to set up of Special Security Zones (SSZs), where movement of arms, explosives and inflow of unaccounted funds will be prohibited, with special focus on nuclear reactors, dams, major projects, coastal areas under its ambit. With a provision for a jail term of up to three years and fine for those threatening the state’s security, the Bill says, SSZs would have a separate police infrastructure. The zones would also have a command and control system, and a separate Standard Operating Procedure (SoP), to be followed by the SSZ police.